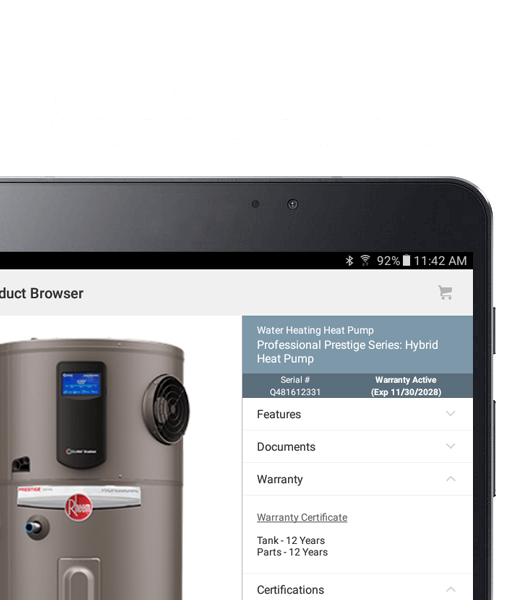 You can enter the serial number for your Rheem product to see if it's registered. 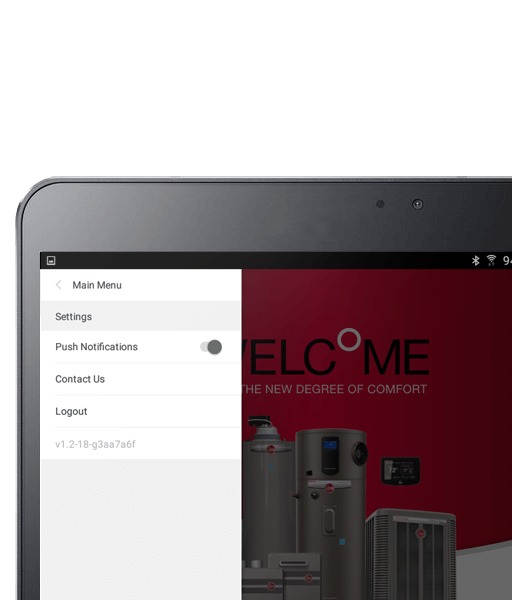 Welcome to the one place that lets you tap into everything Rheem. 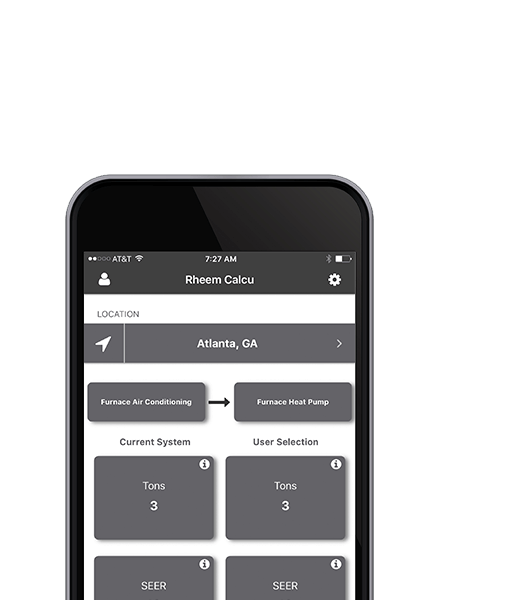 Whether you’re at home, on the road or on a jobsite, Rheem® offers a variety of free, easy-to-use mobile applications for homeowners and professional installers. 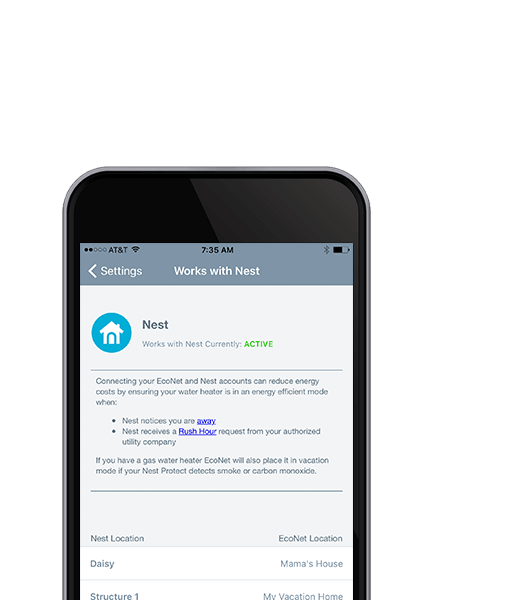 Each app is packed with smart features to control Rheem home comfort systems or streamline your business to help get the most out of Rheem comfort systems—saving you time, energy and money every day.  Ultimate control from home or away for Rheem Heating, Cooling & Water Heating systems.  Leveraging the latest in Cloud and Smart Home technology, the completely rebuilt Rheem EcoNet® App now gives you instantaneous control over Rheem smart heating, cooling and water heating equipment that features EcoNet—delivering a new level of efficiency, convenience and comfort. 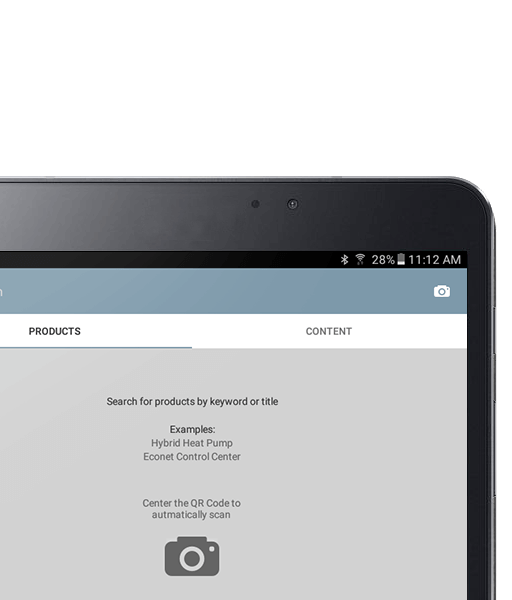 The product information, tools and resources you need to work smarter and faster in the field. From service to selling, the tools you need to improve your workday productivity are in your hand and just a few taps away. 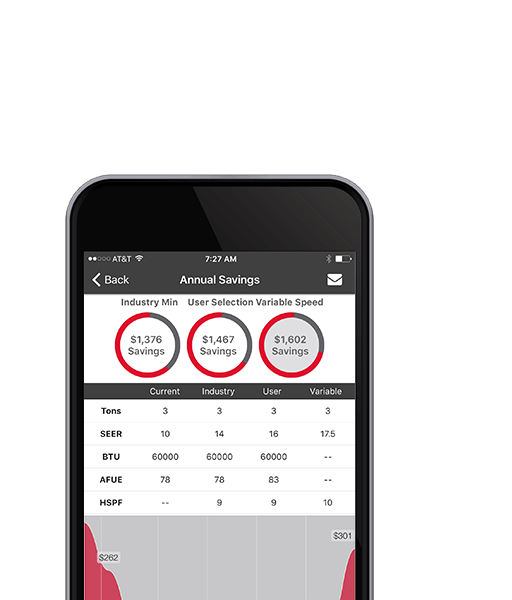 Quickly access warranty and parts, compare replacement options and make confident recommendations. 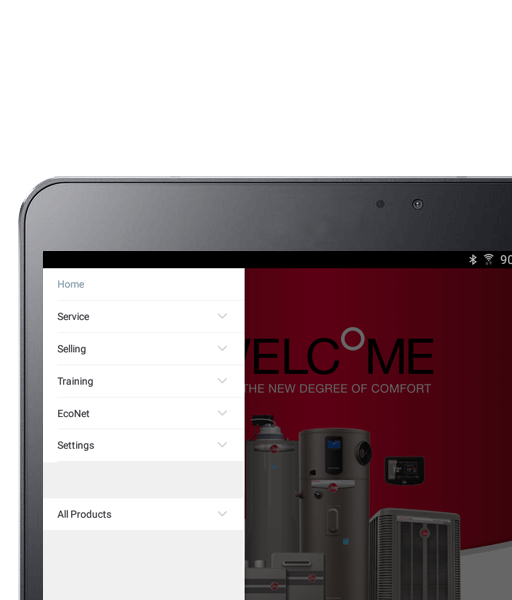 Sign up for training in Rheem’s Innovation Learning Centers for exclusive tools, resources and documents to step up your game. Product information, reliable reports and system options to help close the sale.  The Rheem Calcu Save App provides on-the-go access for contractors to calculate cost savings for homeowners by comparing residential HVAC system replacement options. Copyright 2004–2019 Rheem Manufacturing Company. All Rights Reserved. 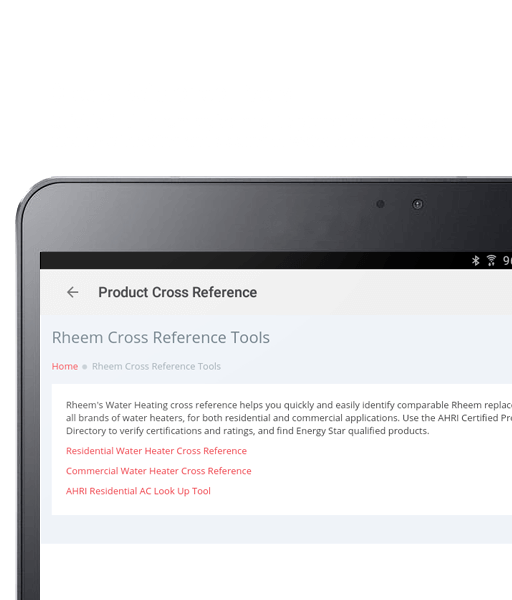 Rheem Manufacturing ranks as the global leader in the manufacture of high-quality, sustainable, and innovative water heaters, tankless water heaters, air conditioners, furnaces, pool heaters, and HVAC systems for residential and commercial applications, and is a full member of AHRI, the Air-Conditioning, Heating, & Refrigeration Institute. 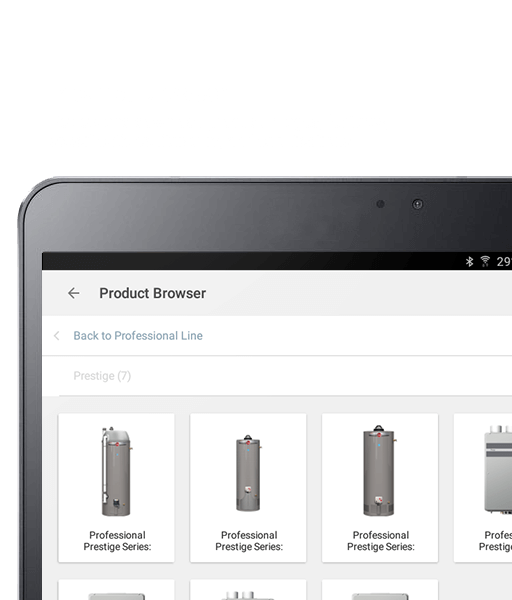 1All pros listed are independent dealer-owned businesses, and not owned or operated by Rheem Manufacturing Company.